Berry Bros. & Rudd has created a bespoke, limited-production Bordeaux called ‘Widely Read’, to benefit Room to Read, a global organisation that works in low income countries across Asia and Africa to ensure primary school children can become independent readers and girls can complete secondary school. The wine has been blendedby Jancis Robinson OBE; wine consultant, Eric Boissenot who has consulted at Châteaux Latour, Margaux and Mouton Rothschild; and Simon Staples, Sales Director for Asia at Berry Bros. & Rudd. Widely Read is a red Bordeaux that was blended at VINIV, a subsidiary of Château Lynch-Bages in Pauillac, from winese contributed by 15 of Bordeaux’s top châteaux. Simon Staples says: Having been a keen advocate for Room to Read and all the amazing things they do for the past few years this really was a eureka moment last Christmas when I thought what could I do to help in a way that was appropriate. So I set about gathering the best in the business to make this excellent wine.” Just 486 six-bottle cases are available at £330 from bbr.com/widelyread and £160 from each case will be invested in Room to Read’s Literacy Programme. Bidforwine.co.uk and Dreweatts and Bloomsbury auctions are pleased extend an exclusive offer to all wine-pages visitors: Zero commission on any consigned sales of wines and spirits during May for our forthcoming online and live sales in June and July. A free, no obligation valuation will be provided on your wines and both In Bond and Duty paid wines can be entered. 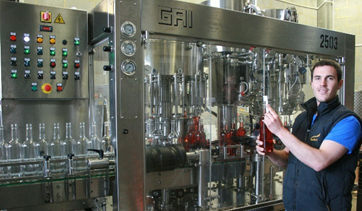 As we have bonded warehousing there is no need to rmeove wines from bond prior to sale. Cases and odd bottles are both welcome. All consignments will need to be delivered to EHD Wine storage in Sunbury on Thames prior to sale for photography and cataloguing. Please quote Wine-Pages when making contact. with your lists One of their specialists will give you a sale valuation. The BBC has carried the story that the International Organisation of Vine and Wine (IOV) states that China now has more land planted to vines from the production of wine than France. It’s area under vine is said to total 799,000 hectares, meaning that globally it is second only to Spain (which has just over one million hectares). “China wants to be self-sufficient in all sectors, this one included,” IOV director general Jean-Marie Aurand is reported as saying. 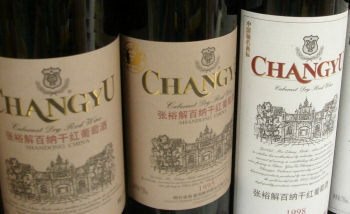 China mainly cultivates varieties imported from all over the world, including Cabernet Sauvignon, Syrah, Merlot and Chardonnay. Production so far is nowhere near France’s annual 46.7 million hectoliters, though currently it occupies eighth place in the world with 11 million hectolitres. The Dorchester hotel in London’s Park Lane is once again offering a Chelsea Flower Show champagne afternoon tea, inspired by the Laurent-Perrier Chatsworth Garden at The RHS Chelsea Flower Show 2015. From Monday, May 18 to Sunday, May 24 the afternoon tea will be held in The Promenade at The Dorchester, where Dan Pearson’s 2015 Laurent-Perrier Chatsworth Chelsea Flower Show garden will be referenced through floral arrangements by The Dorchester’s designer florist Philip Hammond with woodland inspired bouquets on each table and The Promenade’s famous palms replaced by trees.The Dorchester’s Chelsea Flower Show Afternoon Tea itself will include hand-crafted delicacies such as a flower basket hazelnut sponge with praline chocolate cream and chocolate mousse soil, a chocolate sweet tart beehive with a caramel lemon and honey cremeux, and a flower pot almond financier with a blackberry and currant mousse. These cakes will be served with a selection of finger sandwiches and scones complemented by the exceptional freshness and soft berry flavours of the Laurent-Perrier Cuvée Rosé. Priced from £59 per person, there will be five sittings daily. For further information contact The Dorchester on +44 20 7629 8888 or email reservations.TDL@dorchestercollection.com.